This book provides a comprehensive, critical study of the oldest and most famous argument for the existence of God: the Cosmological Argument. Professor Rowe examines and interprets historically significant versions of the argument from Aquinas to Samuel Clarke and explores the major objections that have been advances against it. 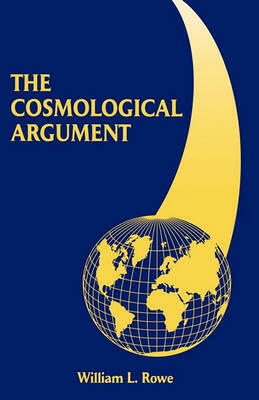 Beginning with analyses of the Cosmological Argument as expressed by Aquinas and Duns Scotus in the thirteenth century, the author seeks to uncover, clairfy , and critically explore the philosophical concepts and theses essential to the reasoning exhibited in the principal versions of the Cosmological Argument. The major focus of the book is on the form that the argument takes in the eighteenth century, principally in the writings of Samuel Clarke. The author concludes with a discussion of the extent to which the Cosmological Argument may provide a justification for the belief in God. In a new Preface, the author offers some updates on his own thinking as well as that of others who have grappled with this topic.